BufferApp, Feedly, and IFTTT are must use social tools. We’re all busy creatures. We don’t always have time to keep a backup of our lives, stay on top of the latest blog posts, check ESPN, backup your attachments from Gmail, save articles for later, or keep an eye out for that used table and chairs set you’ve been looking for on Craigslist. We need stuff to help out. Although I’ve been using these social media tools for over a year now, I’ve come to really rely on them to do all sort of cool stuff. I did another video to show you some more dance moves, share some personal stuff, and talk about some of my favorite social tools. I hope you enjoy it. I’ve included some links here to the tools I talked about. Do your own research, of course, but know that these apps have been a real time saver for me. I hope you feel the same. IFTTT.com – IFTTT is a service that lets you create powerful connections with one simple statement: IF THIS THAN THAT. 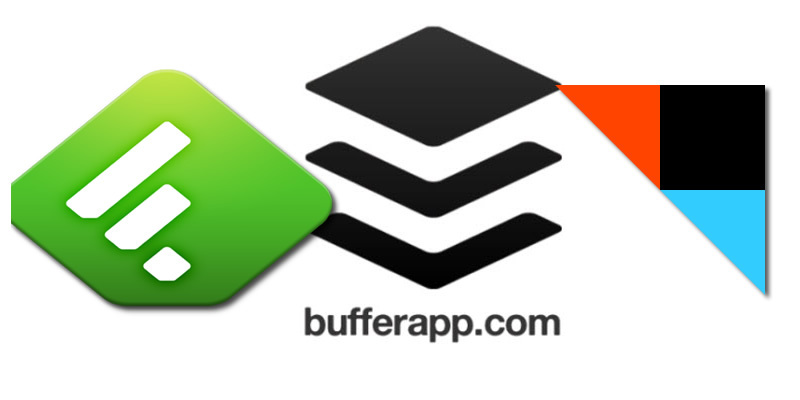 BufferApp.com – Buffer makes your life easier with a smarter way to schedule the great content you find. Feedly.com – Organize your favorite blogs, news sites, podcasts and Youtube channels and access them all in one place (or migrate your Google Reader account).